Take advantage of this already combined apartment in this well run cooperative on lower Fifth Avenue. The current layout features a large entrance foyer, generous living room, formal dining room, eat-in kitchen, master bedroom with en-suite bathroom, two additional bedrooms and another full bathroom.This corner apartment offers all the special details one hopes for, including hardwood floors, high ceilings, moldings, excellent closet space, and three exposures. 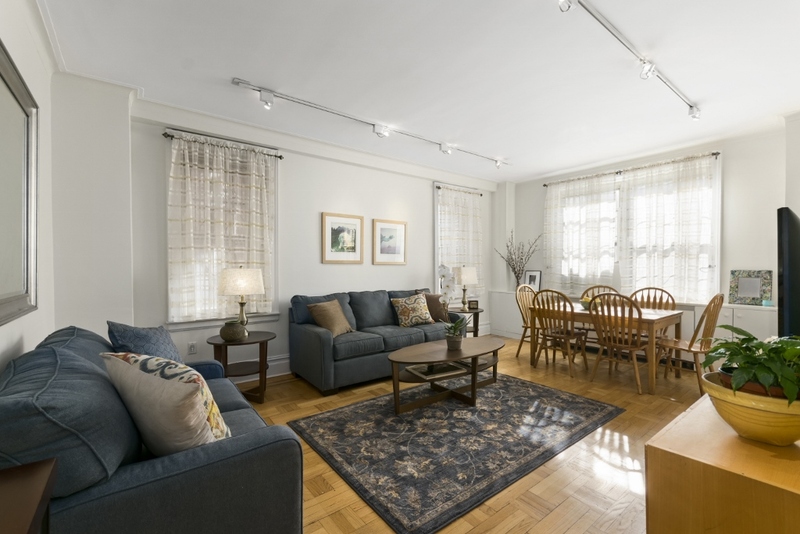 It is located in one of Greenwich Villages best full service cooperatives with doorman, elevator attendant and a communal roof terrace.The location is wonderful with its close proximity to some of New York City's finest restaurants, Washington Square Part and multiple subway lines. An apartment of this size and this price does not come available very often on lower Fifth Avenue. Don't miss this one! Make it into your dream home.